Big Glass Etching was in a unique place in their market. Maintaining a sense of establishment and quality in a market dominated by “cutsie arts and crafts” is not an easy task. The company was founded on excellence in large-scale corporate etched glass installation. Moving into the consumer level market presented a design challenge we were eager to jump on. Our design needed to function as a bridge; allowing the consumer market access to a product previously reserved for the big-budget corporate world. The new branding for Big Glass Etching combines both mindsets through a visual identity that conveys the established quality of the brand while being approachable, recognizable, and engaging. 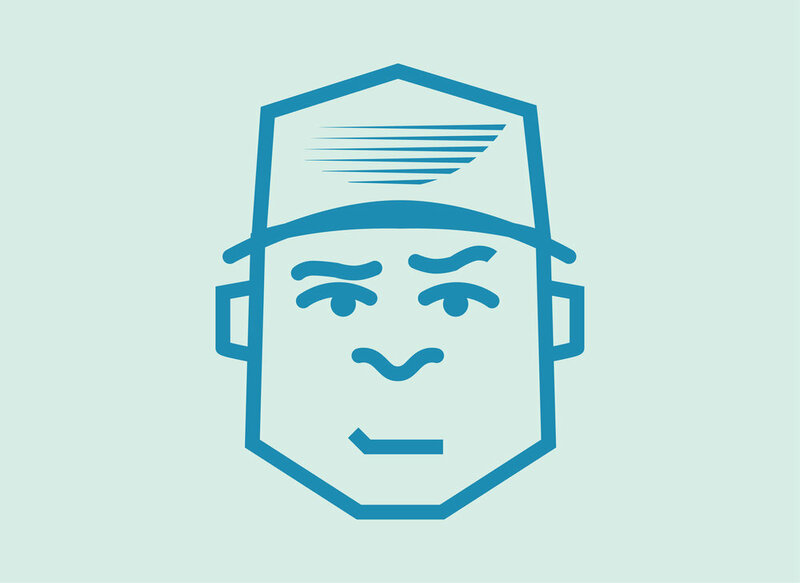 The logo fluidly transforms into an easily recognizable branding system for packaging design. The creams and stencils Big Glass Etching is introducing to the consumer level market are instantly recognizable as part of the Big Glass Etching family. With the goal of combining corporate and consumer level markets, we chose a blend of strong and fluid typography. This combination allows Big Glass Etching to more naturally connect with individuals on both sides of the line. 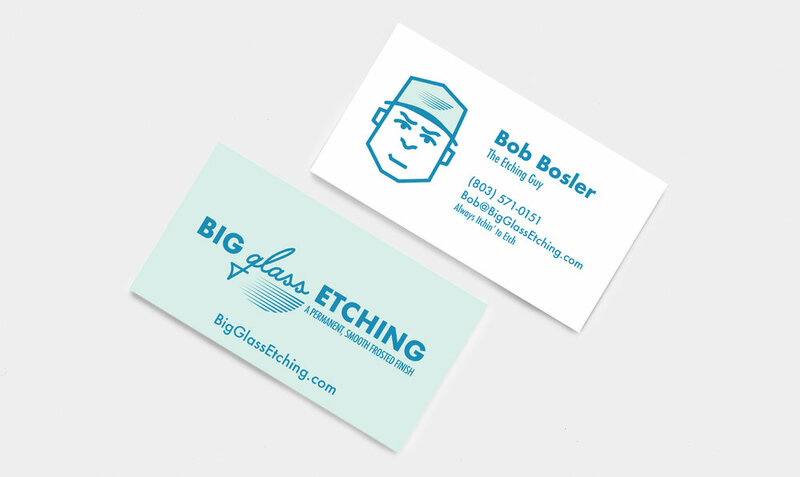 As the founder of Big Glass Etching, Bob Bosler became affectionately known as “The Etching Guy.” We wanted to incorporate that persona into the branding package so we developed a simple face to capture the ambition and curiosity of The Etching Guy.